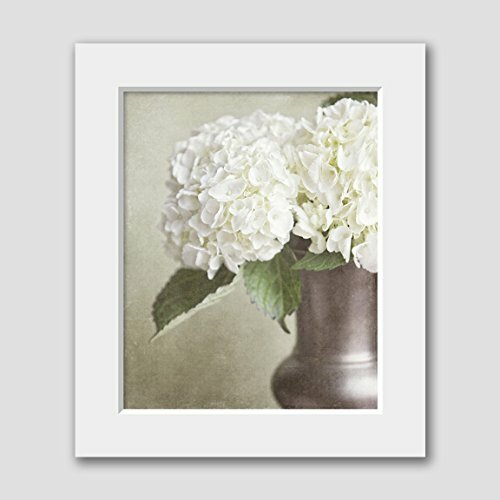 Botanical Hydrangea Matted 8x10 Print (fits 11x14 Frame). Shabby Chic Neutral Home Decor. A ready to frame fine art luster-finish print pre-mounted with archival white mat and backing board. Vertical print is 8x10, mat is 11x14; simply pop into any standard 11x14 frame. Mounted using archival tabs that don't touch the image, so it can also be removed if needed. Your matted print is signed & dated (on the back), then placed in a waterproof glassine envelope inside in a white flat gift bag with notecard. Finally, the finished package is placed inside a white sturdy envelope. A lovely presentation that ensures safe delivery and is perfect for gift-giving! Search Amazon for "Lisa Russo Fine Art" to find my full collection. Vintage Monster Truck Photo "51 Ford", Boys room Wall art, Photo Decor, Monster truck room, Nursery decor, Kids Room Wall Art. Sunlit Sunflowers | Gorgeous Blooming Yellow and Brown Sunflower Photograph Print; Two 11x14in Gold Trim Brown Framed Prints; Ready to hang!